Finally, the first full day of spring is here! What better way to celebrate than to shop for unique finds? I’ve recently discovered The Spirit of Mermaids, a beautiful accessory line created by Virginia Beach, VA designer Ashley Gillies. 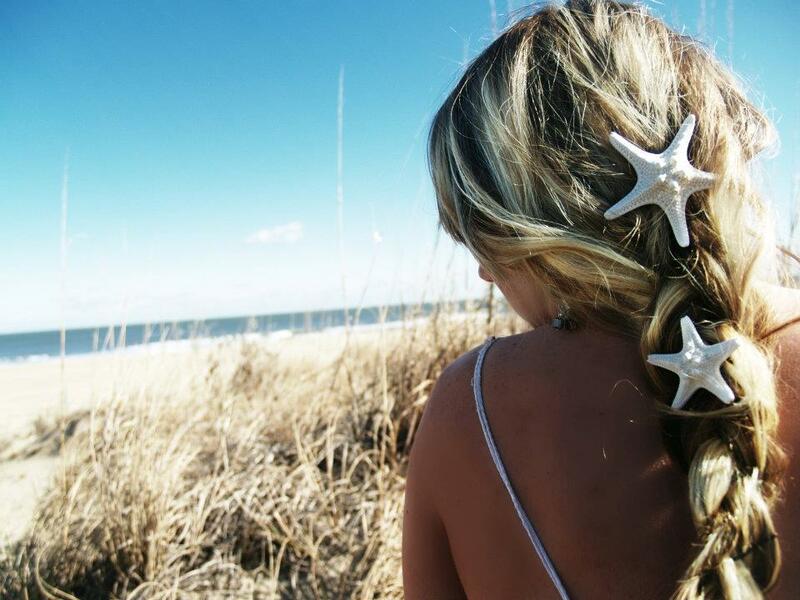 The unique starfish barrettes and Bohemian style leather headbands with beads are inspired by the mysteries of the deep blue ocean. Natural is beautiful, and there is nothing more natural than real starfish. “The accessories I make embody girls who live for sunny days and salt on their skin,” Ashley says. “My leather beaded headbands can be worn as headbands or necklaces. I wear them both ways. My line of jewelry is laid back and carefree.” Pinned directly to clothing or hats, her creations can be worn year round to truly show off a beachy personality. Right now, folks who live in the Virginia Beach, VA area can purchase The Spirit of Mermaids merchandise directly from Ashley (email her at thespiritofmermaids@yahoo.com), who plans to offer the line online as well as in stores. Stay tuned!